I'm just under the wire to check in for the Smalls SAL and Wipocalypse 2014. I finished this small piece this afternoon. 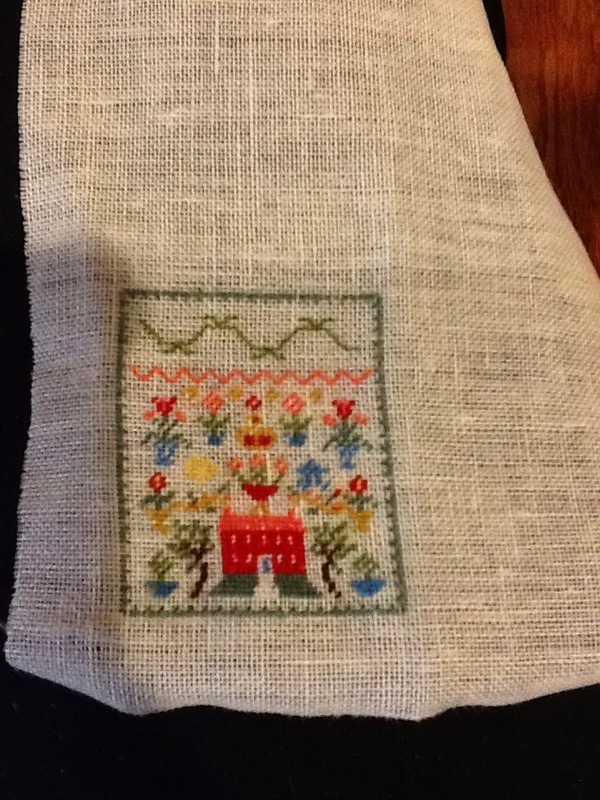 It's by Melissa Nichols and was a project for my sampler guild a few years ago. The finishing is supposed to be a pin, but I think I'll make it into a scissors fob. It's stitched in tent stitch over one with AVAS. The top two bands are double running stitch which turned out to be surprisingly easy over one. I realized this afternoon that the house was supposed to be pink and the roof was to be red--oh, well. It's been a busy month for me and I have lots to post about, but that will have to wait as we are meeting friends for dinner this evening and I need to get ready. Hope everyone is getting lots of stitching done!